In 1999 Mr. Gordon merged his practice with Eugene O'Connor AIA, to create what has become OGP Architects, LLP. technical resources to individual projects. His experience in the Design/Build, Fitness and Wellness industries make him a leader in the profession. His experience has become an asset to projects throughout the country. As Managing Partner, his responsibilities for individual projects include communications, fee structures, proposals, and the supervision of projects. The Fraser Center is a 260,000 square foot mixed use building in downtown State College. OGP Architects were the architects for the core/shell of the Hyatt Place and residences. 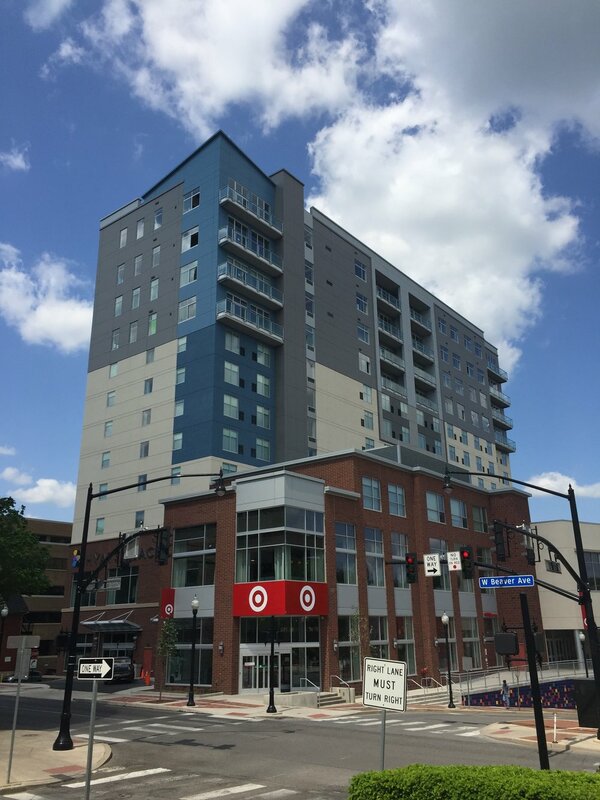 The Edge is a 100,000 sqaure foot mixed use building in downtown State College. OGP Architects were the architects for the 40 resident apartments, the 7th floor offices and the Frutta Bowls.